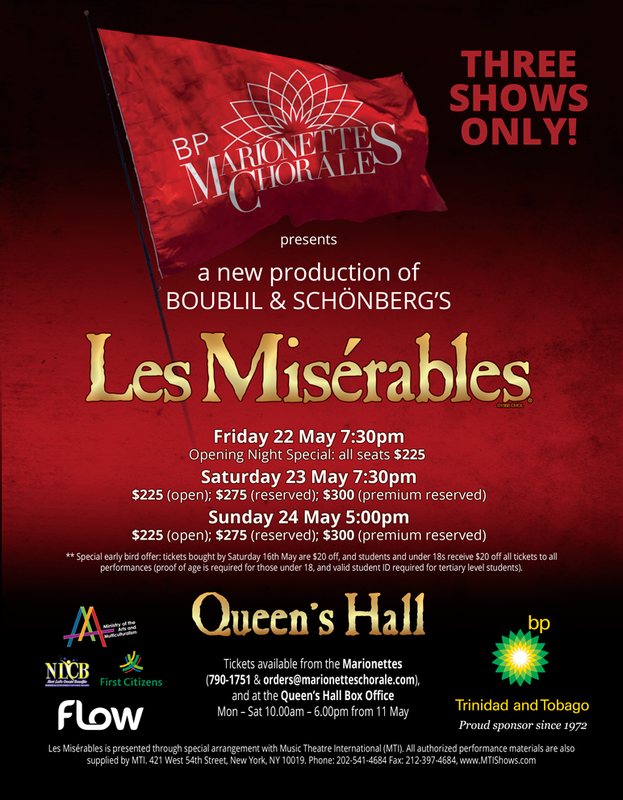 The BP Marionettes’ 2015 season launches with May re-staging of Les Mis! Next month, the BP Marionettes kick off our busy 2015 season with a re-staging of our critically acclaimed production of Les Misérables at the Queen’s Hall. 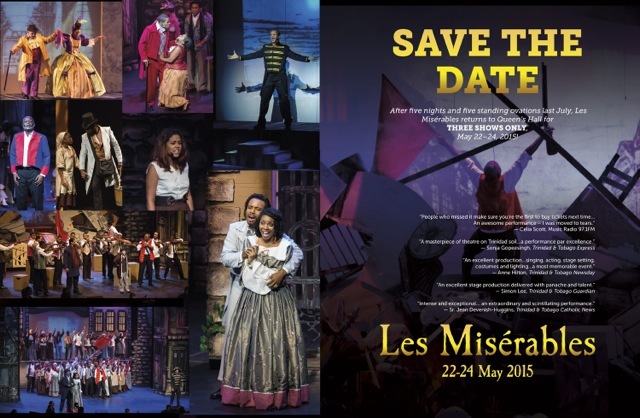 Running for just three nights, the production coincides with worldwide commemorations of the 30th anniversary of “the world’s favourite musical”; Les Mis opened in London in 1985. After months of attempting to secure performance space following the overwhelming response to our original run last July, the Marionettes’ Les Mis returns to Queen’s Hall for three shows only, Friday 22nd to Sunday 24th May. With a cast and crew of nearly 200 (including two visiting string players from the US, one of whom played for Les Mis on Broadway), patrons are advised that no extensions or television broadcasts are possible. Early ticket bookings are already pouring in. You can book your seats through members, or you can pre-reserve your tickets online here. Tickets on Friday 22nd (7:30pm) are $225 (sit anywhere). On Saturday 23rd and Sunday 24th, tickets are $225 (open); $275 (reserved); and $300 (premium reserved). Students and under 18s — as well as the Patrons of Queen’s Hall — receive $20 off all tickets to all performances (proof of age is required for those under 18, and valid student ID required for tertiary level students). Ticket discount offers may not be combined. For more info, call (868) 790-1751 or email orders@marionetteschorale.com. Join our official Facebook event page here! Then in July, the BP Marionettes puts the youth centre stage. Twenty years ago, the group embarked on a path to create a training and performance space for talented young people. 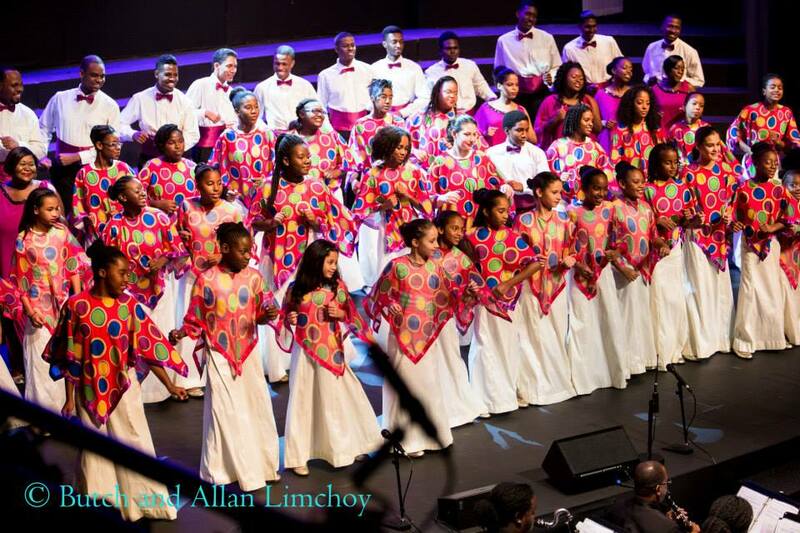 The Youth Chorale was formed two decades ago in July 1995, followed by the Children’s Choir in 2012, and together the two choruses boast 100 young singers from over 50 primary, secondary and tertiary educational institutions. Members have gone on to become professional musicians and theatre makers as well as award-winning scholars, and it is this success that the groups celebrate on Sunday 10th July. Bringing the year to a close is the cherished annual tradition for so many patrons: Christmas with the Marionettes (Thursday 3rd to Sunday 7th December at Queen’s Hall). The 2015 season is proudly supported by Marionettes title sponsor bpTT, and by media partner Flow Trinidad (Columbus Communications). The Marionettes also welcomes the Ministry of Arts & Multiculturalism, First Citizens and the National Lotteries Control Board as supporting sponsors of Les Mis. For all the latest, visit our Facebook page (facebook.com/marionetteschorale).